The HONK! 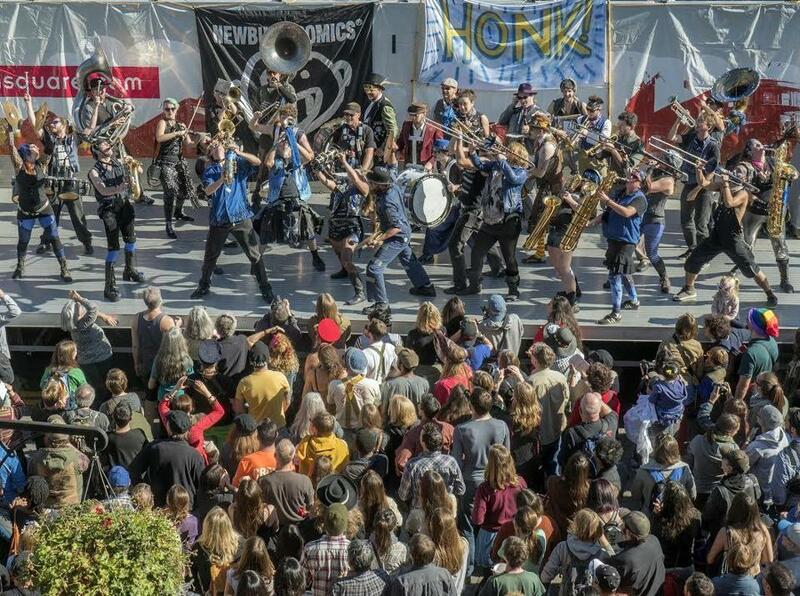 Festival featured dozens of performers, including the Somerville-based Emperor Norton’s Stationary Marching Band. The raucous good time known as the HONK! Festival was honking as ever this weekend. The cacophonous parade that began in Davis Square and concluded in front of Out of Town News in Harvard Square attracted thousands of people and featured dozens of performers, including the Somerville-based Emperor Norton’s Stationary Marching Band.